“We have been married for 7 years. I fought with my family for her. She is the one who tells all of us what to do. My daughters Akshita and Akansha (aged 5 and 4) just started school. Our lives are empty without her. 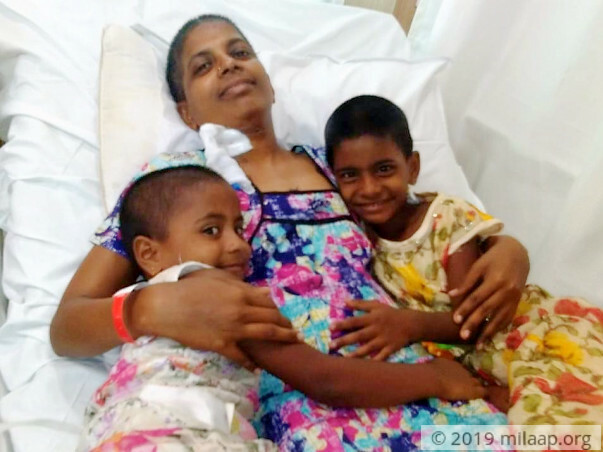 The doctor says she is doing well – no matter what, I can't stop treatment now. If I do, cancer will take her” – Prakash. A daily-wage worker, Prakash, has been shuttling between work, home and hospital every day, in an effort to keep his wife alive. 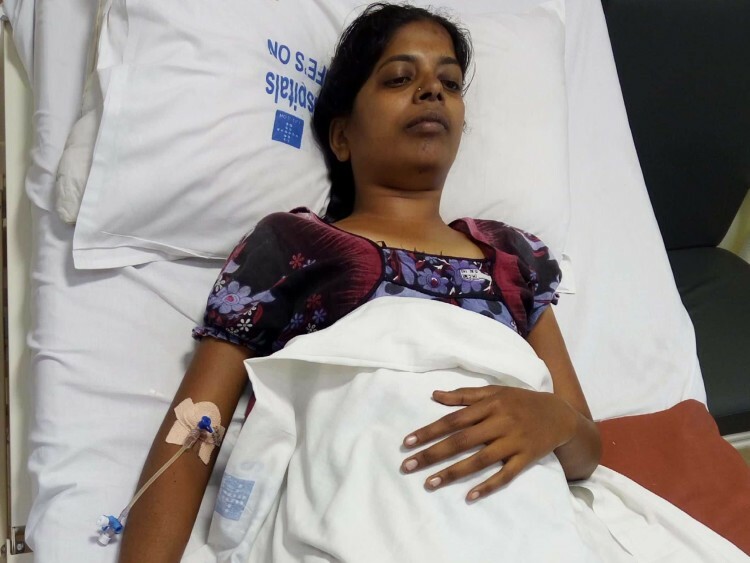 Jyothi was suddenly diagnosed with cancer. Before they knew it, she was holding onto life by a thread. Prakash has not been able to tell his wife the truth about her condition, afraid that the very shock will kill her. 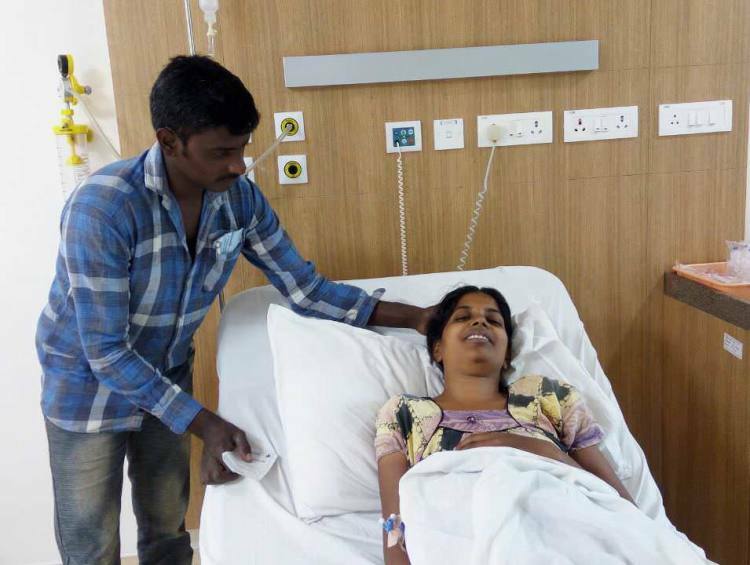 Though she has a good chance recovery, Jyothi is fighting a painful battle against cancer. It started with a high fever in January. In a matter of days, she got worse and started vomiting. She even lost her sight and hearing. Her children were both scared of even going near her because their mother was so sick. Prakash is a daily-wage worker who fits doors and windows in homes under constructions. Since Jyothi's diagnosis, he tries to work as much as possible while being there for his wife. Life has become very difficult for Prakash. But hardships are not new to him – he didn't go to school because he had to start earning so he could eat. Till today, Prakash is in the same state. If he does not go to work, his family goes hungry. “At first, I was very scared. She was very sick. I took loans to admit her for chemo. She is slowly recovering. Cancer hasn't reached her bone-marrow. She can see and hear again. She made us all go a temple to dedicate our hair to God. I have to do whatever I need to do for her peace right now. For her and for my little girls.” – Prakash. Prakash applied for government aid – and received it, but those funds are gone. 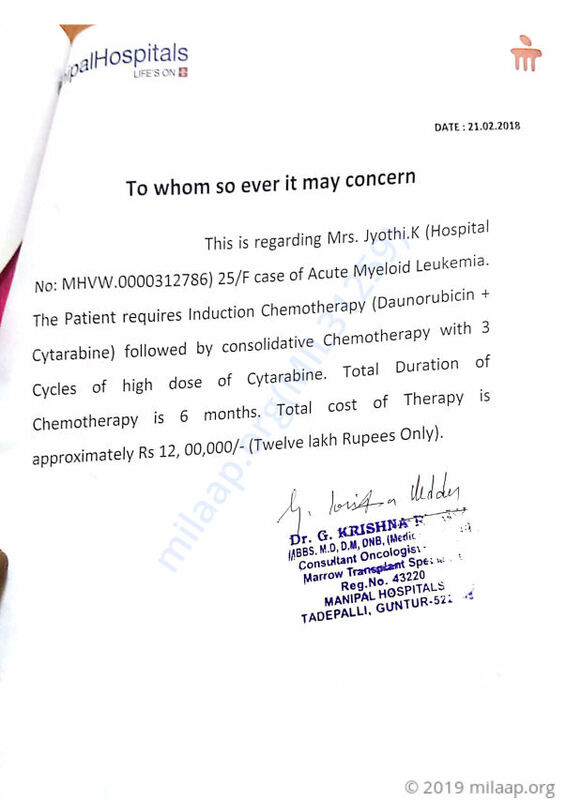 He has borrowed close to Rs 1 lakh for treatment – which is also gone. He tries to find work, but jobs are fewer in the summer. He has no way left to fund Jyoti's treatment – but he is not ready to give up. Prakash earns Rs 400 for a day's work. 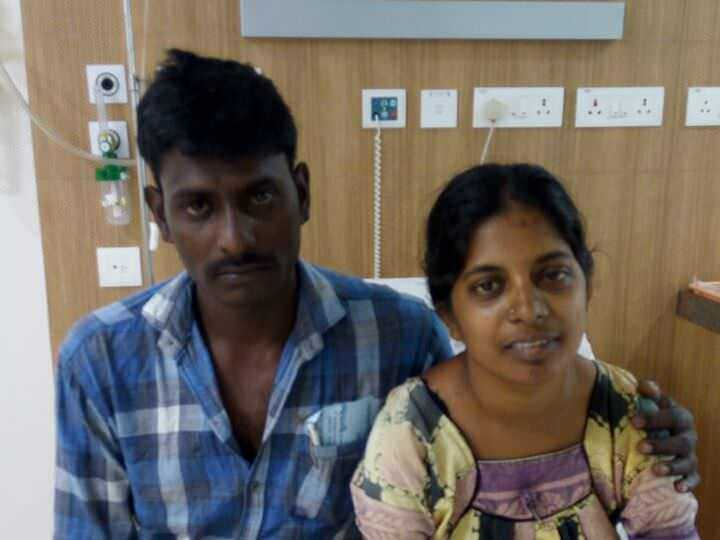 Often, either there is no work or he needs to be in the hospital to care for Jyothi. 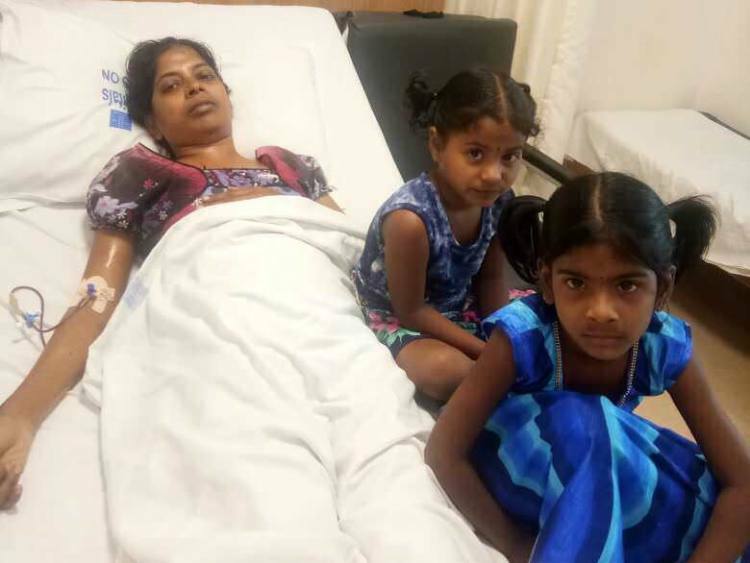 She has a good chance at recovery, but lack of money is stalling the treatment. 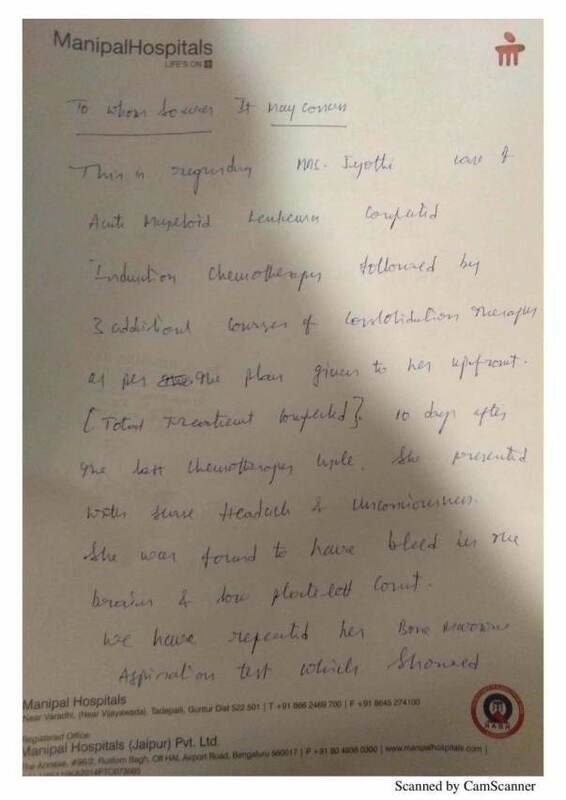 If there is any more delay, her condition will get beyond worse. 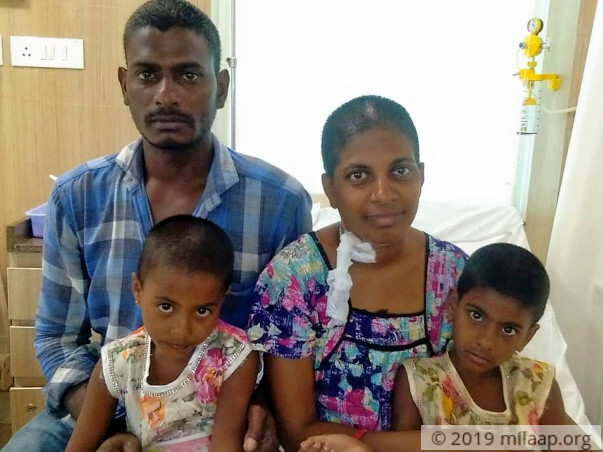 Your contribution can save Jyothi and give his family much-needed hope. I am rejoiced with the love and support blessed on Jyothi. She has been discharged and is presently at home doing well. She visits the hospital for regular check ups. She still has some issues in hearing from her left ear. Will keep you posted. Thank you all. Thank you for the wonderful support that you have shown towards Jyothi. Here is a quick update on her health. 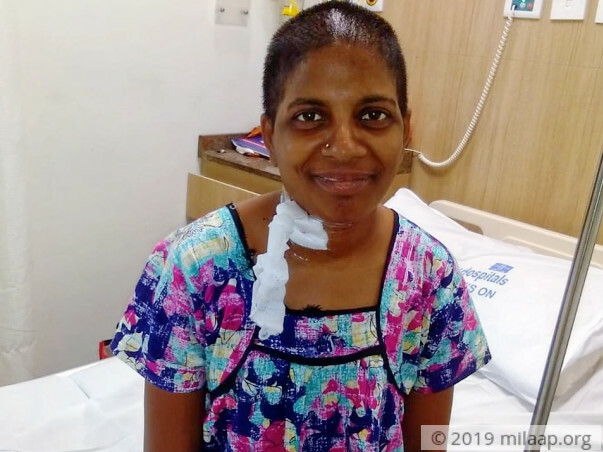 She completed the initially prescribed course of chemotherapies successfully. During her follow-ups, a test indicated a few complications. 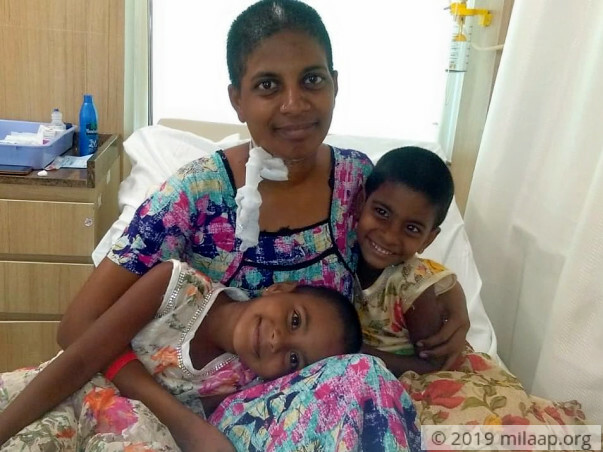 Upon further investigation, it was found that her cancer had relapsed and she was bleeding internally in her brain and her platelet counts had reduced. We administered her immediate treatment and care. She is at home now on palliative care at present. Thank you for the wonderful support. Please do pray for her health and speedy recovery. Thank you so much for your tremendous love and support. We couldn't have done this without you. 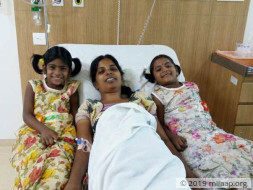 Jyothi is hospitalized and is doing better now. She is currently undergoing the fourth cycle of chemotherapy out of a total of five. 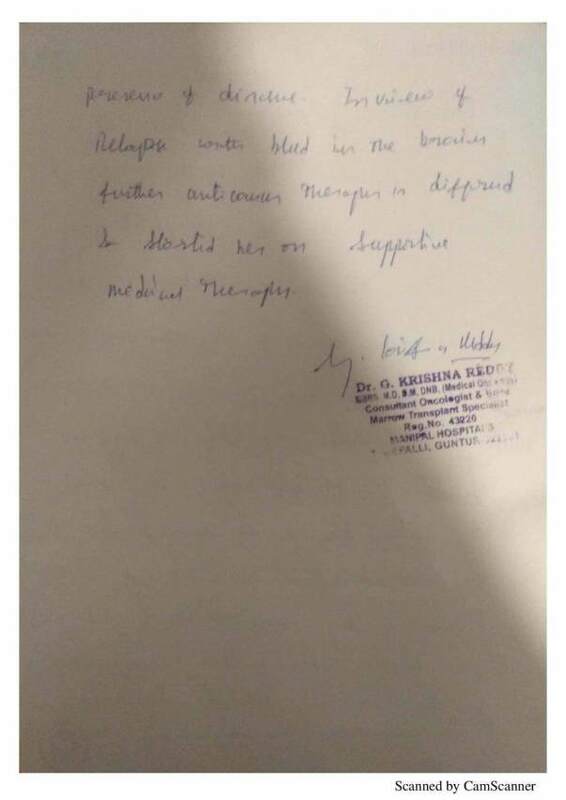 The doctors have told us that she is responding well to the treatment. Once all cycles are done with, the doctors will take a call on the further course of treatment depending on her response and her health. The fifth and the final cycle is likely to be scheduled for sometime next month (June). Please keep praying for her and supporting her. Thank you all once again. God bless her and heal her.